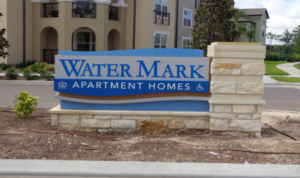 Creative Sign Designs has been a leader in the design of multifamily industry signage for more than 25 years. Creative’s team of experts create distinguished signage solutions by implementing a turnkey approach that consists of planning, design, fabricate and installation. From subdivision signage to trendy condo signage and highrise and apartment signage, we have the experience and equipment to serve all multi-family properties to ensure your property stands out from the rest and offers the best experience for your residents. 500 Harbour Island is leading the transformation and vision in architecture for multi-family. 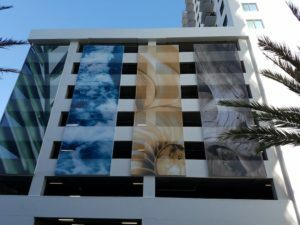 For this project, we transformed a typical parking garage into captivating artwork utilizing 45’ x 14.5’ digitally printed mesh banners that aesthetically change how you view parking garages. 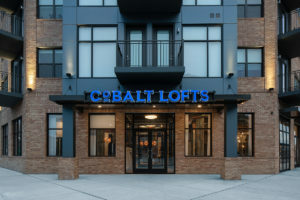 Creative executed the designs, fabrication, and installation for this 366 unit multifamily building including 3 exterior illuminated signs, a full interior package for the 9-floor building and an interior parking garage. 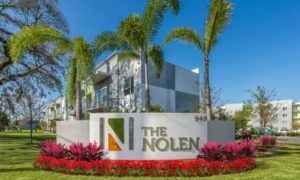 The Nolen at Prospect Park is a property situated in the vibrant, urban neighborhood of downtown Clearwater. Creative was contracted by Incore Residental to complete a comprehensive site plan analysis in order to recommend and create signage for this apartment complex. 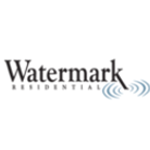 The interior and wayfinding signage solution Creative developed for Water Mark Apartment Homes is just one of the many multifamily housing projects we have under our belt. 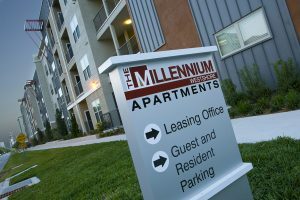 Luxury multifamily apartment complex Millennium Westshore relied on Creative for their interior, exterior and wayfinding signage needs. We serve our Multi-Family clients from our home in Tampa, Florida and throughout the state and country! 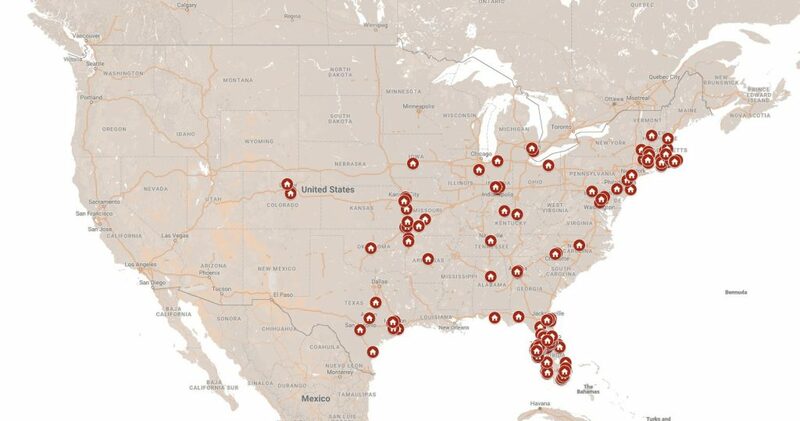 Check out more of our featured projects.